Neil Channing's love of gambling started early, but poker wasn't his first love. It’s hard not to think of Neil Channing without also thinking of British poker. The man known as "Bad Beat" has become synonymous with the British Isles thanks to his quick wit, perceived curmudgeonly nature and old-school charm at the table. 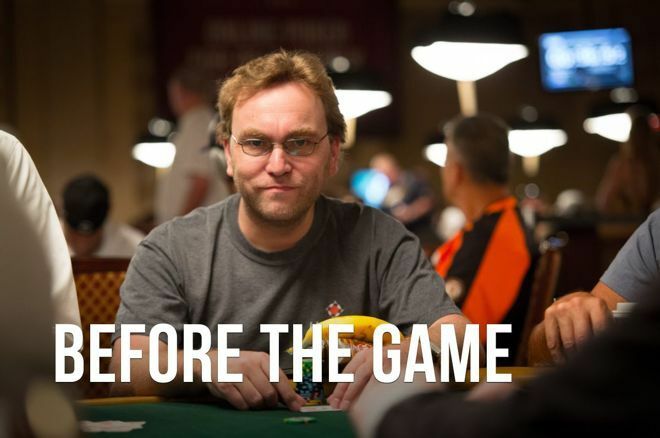 He could sell tea for a living, he could present the news, heck, he was even PokerNews' go-to guy when it came to dissecting Brexit's effect on British poker. But, he’s a gambler at heart, and even before poker became his profession, he had his eye out for value in a number of areas. Neil Channing was Bad Beat for a long time... Before the Game. To speak with Channing about his personal history is a little like learning how gambling has changed over the years in Britain. He was at the inception of a betting phenomenon that has become a big part of an industry that keeps growing. “I’ve always done all kinds of gambling, often all at the same time," he said. "I had a job in my late twenties, but I still went out and played poker three or four times a week. That was about the time when I started doing the racecourse bookmaking. It's hard to pin down the origins of Channing’s love of gambling, even for the man himself. One thing is for certain — the bug came early and it bit down hard. "A bookmaker is a combination of the two — it involves trading and thinking about numbers, trying to gain an advantage over others in the market." “I had a few things I wanted to do when people asked the age-old question of ‘What do you want to do when you leave school?’" he said. "I had this vague idea I might be an actor or in the city, where people used to dress up in stripy blazers and shout a lot, waving their arms about while trading. If a bookmaker’s life was his dream, it would take years to fulfill, mainly for reasons that are a little complex. It’s simply not as simple as pitching up at a racecourse and offering a punter your prices. To get to that stage took an incredible amount of hard work. Step one: get a betting license. That involved several steps in itself. First, one had to pay £100 to stand in front of a magistrate and establish credibility as a person fit to book. Step two, a person would need a doctor to provide a reference. Finally, even if everything checked out, they'd have to bide their time on a waiting list. Sometimes, you’d have to wait a very long time. “They’d come back and say, ‘You’re 332nd in the queue,'" Channing remembered. "There were a hundred bookmakers, and while a few people might give up being a bookmaker in a year, at the end of the year you’d get an update as to where you’d moved up to on the list. Generally, you’d move up around four spots a year. Channing didn’t put his name on the list. He got a job, set about inventing spread betting prices until the small hours in the city and bided his time. Then, a change to the law meant he could get in by another means. 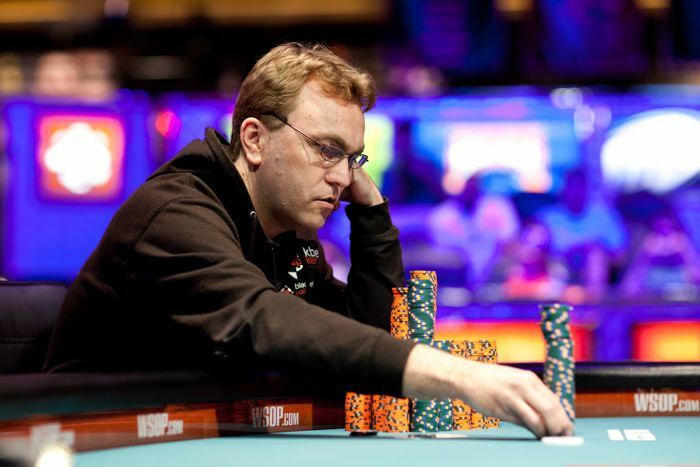 Neil Channing, pictured at the WSOP. If a bookmaker died, an old boy, he would pass on his pitches. It was literally a case of "dead man’s shoes." For example, if he obtained the right to take bets at Windsor, Ascot or Cheltenham, he’d pass on that right to his son. Not a daughter, only son or to his brother. If he didn’t have a son or brother, he’d be crossed off the list and everyone would move up. "I thought it was a waste of time," Channing said. Then, Margaret Thatcher deregulated the on-course bookmakers market. She allowed the bookmakers to sell their pitches. One still had to pay on the day to do it, but they allowed people to buy and sell that right. One day, Channing met a guy who had some spots he’d acquired when he was younger before he’d lost interest in being a bookmaker. He took over one of the man's spots and was in business. All it needed was an entrepreneurial investment. Channing didn’t hesitate to go all-in. “They started having auctions and I went a bit crazy," he said. "I spent several hundred thousand pounds on prominent places as Royal Ascot and Cheltenham, all the big meetings. I was going to the races on all my time off each week. On my holidays I’d take a week off for big race meets. "We had prominent places at these courses. I’d been fiddling around before with rubbish pitches at the back of the ring where people would come up and have a bet for £2. I’d learned the trade there but suddenly I was in at the deep end. We were taking £5,000 and £10,000 bets. People having £500 or a £1,000 on a race wasn’t a big thing and I was quite fearless and didn’t blink too much." That was back in 2001, and Channing estimated he took around £30,000 per day in bets, averaging around 15 percent return. "It was hard work, but it was a great business,” he said. Channing couldn’t get enough of it. The life he’d dreamed of as a kid had become a reality, but like so many betting favorites who are overtaken in the build-up to a big race, what went up had to come down. One of the things drawing people to the course was the fact that they could avoid a nine percent tax on bets placed off course. When the government got rid of a the tax, there was far less reason for punters to head to the course, and far less traffic for Channing's business. "It gave them a good reason to come and they could see it as a good day out, the money they’d saved paying for food and drink," Channing said. "Now, there was no reason to do that. They could just go for a bet on the high street. Suddenly, it was much easier for people to bet." The advent of Betfair in 2000 further dug into his bottom line. "We went from taking £30,000 a day to taking £8,000," Channing said. "The margin went down, while costs stayed the same and it went from being quite something brilliant to an absolute disaster." Channing wouldn’t take it lying down. As ever, he would have to adapt. Luckily for him, poker was about to explode. Find out what Bad Beat did in Part Two of Neil Channing - Before the Game.